The world of work is changing. It wasn’t that long ago when employee disatisfaction could be “solved” with a raise or maybe even a promotion. But when the dust had settled and the confetti had cleared, that employee’s moment in the sun would disappear and be replaced with the same bitterness and discontent they felt before. This is what happens when a person works the same hours and drives the same distance day in and day out. Some years back, a sensible executive or HR manager recognised this cycle of fatigue and decided to do something about it. They examined the problem and found the ideal solution: flexibility. By offering employees more time for the things that are important to them, employers will notice huge changes in their workers’ performance. Think about it: rather than force your employees to face nightmarish traffic five times a week (ten if you include the drive home) and miss out on precious family or personal time, you could introduce a SmartWorking policy which allows them to work full-time or two/three days from home (hybrid). On the contrary, people who work from home have been shown to be more productive than their office-going counterparts. Colleagues can easily remain in contact with each other through instant messengers like Slack. If a meeting needs to be held, it can be done on free video calling software such as Zoom. Think about it some more: If your workers are able to save more hours each day, they will spend them wisely by going to the gym, bringing their kids to school or upskilling. Having time to take care of their physical and mental well-being will also increase your workers’ productivity tenfold. Staff retention is one of the biggest challenges facing businesses these days. These talented professionals are looking for a reason to stay. It’s the smart companies that know what they want. 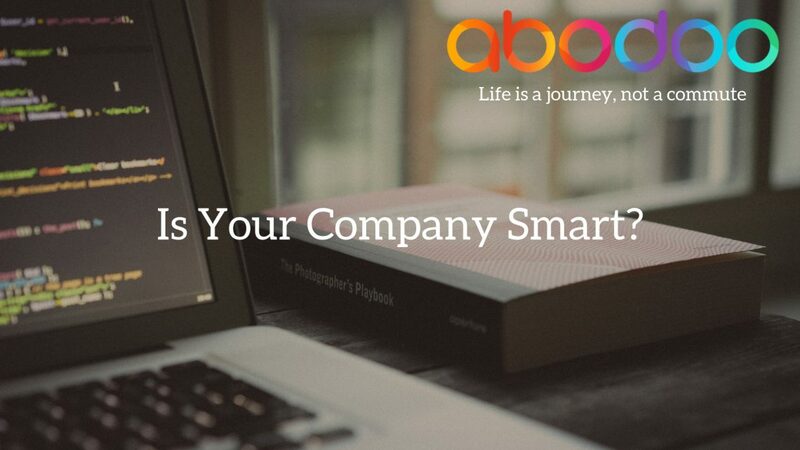 Now ask yourself: is your company smart? If not, we can help. Contact Abodoo today to learn more about attracting and retaining top talent.